Recent research on interactive electronic systems, like computers, can improve the quality of life of many researchers, students, professors, etc. In the case of disabled people, technology helps them to engage more fully into the world. Our study aims to evaluate interfaces for curves drawing with movements of the face. 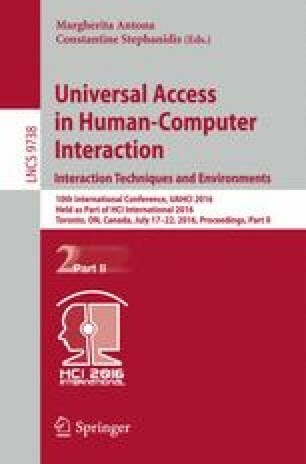 This article discusses about motivations to build such software, how the software works, iterative development of the software, and user testing by people with and without disabilities.